Saad Zbiri, from Versailles Saint Quentin University in France, and colleagues evaluated 102,236 deliveries at 11 hospitals in a French perinatal network (2008 to 2014) to assess whether staffing levels affect prelabor urgent, planned elective, and intrapartum cesarean delivery rates. The researchers found that 23.9 percent of the women had cesarean deliveries (2.4 percent urgent before labor, 10 percent elective, and 11.5 percent intrapartum). The staffing level of obstetricians, measured by the number of full-time equivalent persons per 100 deliveries, was negatively associated with intrapartum cesarean delivery (adjusted odds ratio, 0.55), independent of individual- and hospital-level factors. The staffing level of midwives was negatively associated with elective cesarean delivery (adjusted odds ratio, 0.79). A 10 percent increase in obstetrician and midwife staff levels would have been associated with a decrease in the likelihood of intrapartum cesarean and elective cesarean by 2.5 and 3.4 percentage points, respectively. 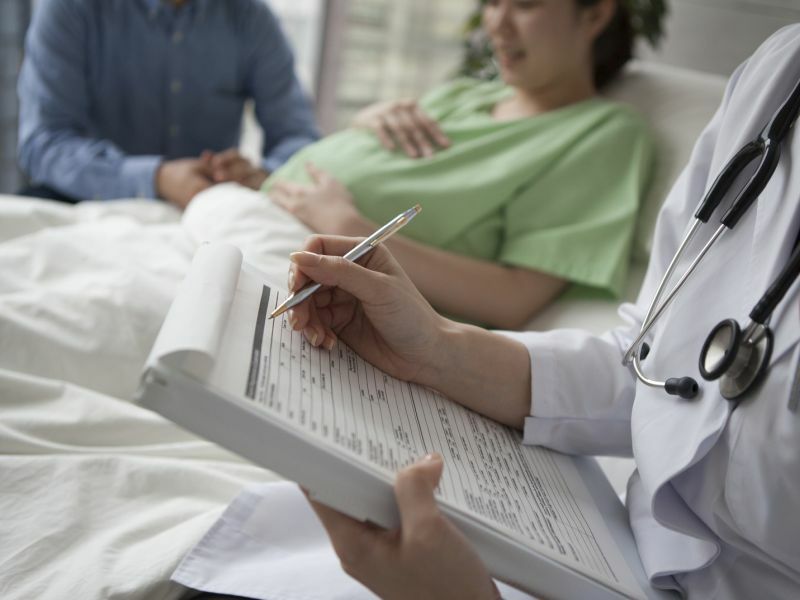 "High-quality research is still needed to evaluate the possible impact of changing staff configuration on perinatal outcomes," the authors write.